Recipients come from all five branches of service: Army, Navy, Marine Corps, Air Force, and Coast Guard. Each listing contains the name of the recipient, rank, organization, and personal information when possible, although some are incomplete. 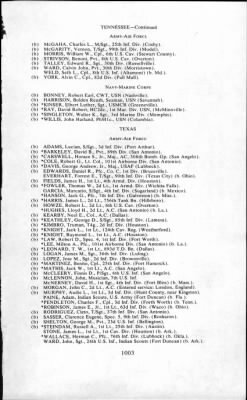 Citations become lengthier and more detailed after World War I, but all are highly descriptive of why the recipient was awarded our nation's highest award for military valor.